Razer has announced a new company product that, unlike many other offers from the same company, comes in the form of a combo. The pair of devices is called Turret and includes a mouse and a keyboard that integrates a special mouse surface that together deliver desktop-grade gaming peripherals into the hands of gamers. 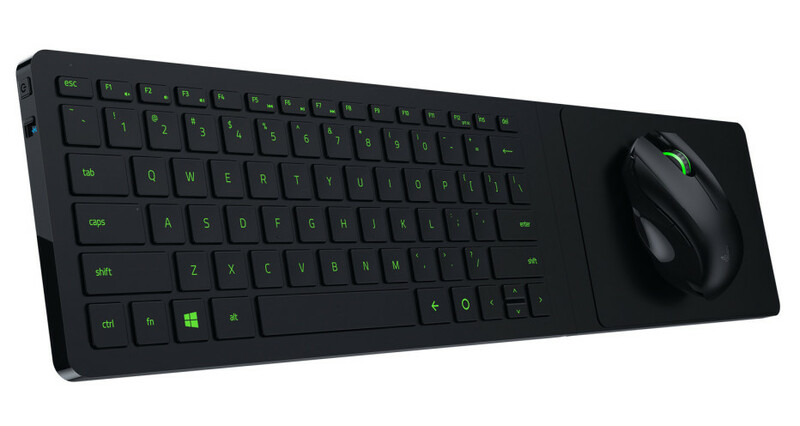 The new Razer keyboard offers gaming grade keys, full anti-ghosting functionality, support for up to 10 simultaneous presses, chiclet-styled keycaps, dedicated Android buttons and a 1500 mAh Li-Po battery that can last for up to four months, depending on the usage patterns. The mouse in the Turret combo comes with a 3500 dpi laser sensor and a 1000 mAh Li-Po battery that can last for up to 40 hours of continuous use. In addition the integrated magnetic mouse pad ensures the mouse will not slip even during intense gaming sessions. The Turret comes with dual wireless connectivity as well, which allows users to play lag-free when connected to a console via Bluetooth LE or to a PC via the bundled wireless 2.4 GHz adaptor. The new Razer Turret costs USD 159.99 and EUR 189.99 for people, living in Europe.